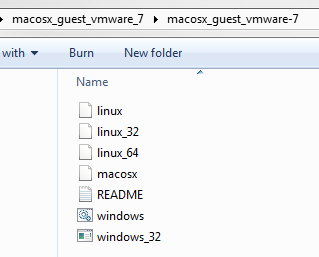 As of late I’ve started using the VMWare products for virtualizing my development environments again as a replacement for Hyper-V.
Today I wanted to access some files of my virtual machine on the host in order to write a blog post on some code I had saved in there. 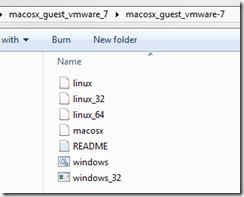 The VMWare disk files are stored as a VMDK file and it’s not possible to mount these type of files in Windows like a VHD file. 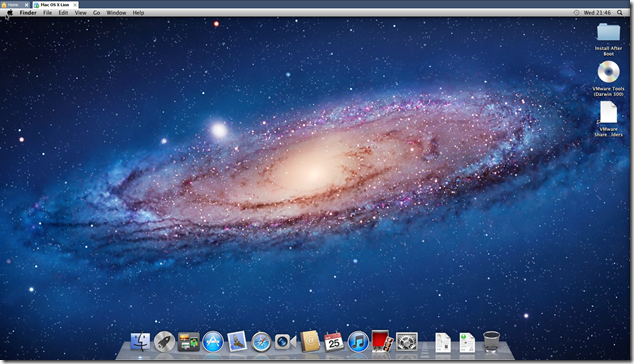 In order to mount a VMDK file you’ll need some third party software. 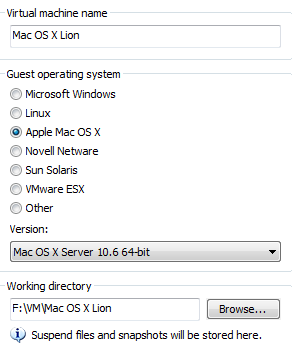 Most people tell you to download the VMWare Disk Mount Utility (note the date: 2005-11-29). This probably was a valid solution back in the day, but it appears this software isn’t compatible with the recent versions of the Microsoft Windows operating system. Windows Installer installed the product. Product Name: VMware DiskMount Utility. Product Version: 1.00.0000. Product Language: 1033. 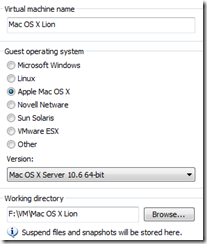 Manufacturer: VMware, Inc.. Installation success or error status: 1603. While troubleshooting this error you’ll probably stumble across the following KB article which tells you to set the appropriate security permissions on the Program Files folder. I’ve tried setting these permissions for both the SYSTEM account as the Administrators group, but to no avail. So I think it’s safe to assume this software doesn’t work properly anymore. I did find some other piece of software from PassMark, called OSFMount. This piece of software installed like a charm and it’s capable of mounting VMDK files also. When staring up the application you’ll see a very self explanatory screen. Just push the Mount new… button and you’ll be prompted to select the appropriate image file. After selecting the VMDK file I did have to explicitly select the partition which I was in need for. When I selected the option Use entire image file Windows notified me it wasn’t able to do something with the new disk and I should format it. Once selected all data on the earlier screen will get updated appropriately and you’ll be ready to use the newly mounted disk. In my case the mounted disk is automatically added to the Windows Explorer list of disks. It’s too bad the OSFMount software isn’t high on the search index yet. Hope this post will help a bit. Waar ik eerst bijna altijd VMWare Workstation gebruikte, ben ik nu genoodzaakt om toch vaak VMWare Player te installeren. Op zich geen probleem, aangezien VMWare Player tegenwoordig voldoende toereikend is waar ik het voor wil gebruiken (namelijk draaien van ontwikkel images). Hier heb ik momenteel nog niet echt perse de extra features van Workstation voor nodig. Nu heb ik bij een klant waar ik zit alleen toegang tot het draadloze netwerk. Op zich geen probleem, echter hebben m'n meeste images een Bridged connection op de netwerkkaart. Deze bind zichzelf aan een netwerkkaart op het systeem en dat is niet altijd de draadloze netwerkkaart. Ik kon me herinneren dat dit kon worden geconfigureerd bij Workstation, maar had de optie nog niet gezien bij de gratis Player. Blijkbaar is het standaard niet mogelijk om de netwerkconfiguratie in te stellen bij VMWare player. Gelukkig kwam ik op een blog post waar exact staat uitgelegd welke stappen moeten worden genomen om dit toch te kunnen doen. Wat je moet doen is eigenlijk alle bestanden van VMWare Player uit de installer uitpakken en daarna het bestand vmnetcfg.exe uit network.cab kopieren naar de locatie waar VMWare Player staat geïnstalleerd. The vmnetcfg.exe is included in the installer, but won't be installed. All contents will be extracted to "extract" folder. Binnen de applicatie kan de gekozen netwerkkaart worden gewijzigd, zie afbeelding hier beneden. Zelf heb ik de executable nu aan m'n startmenu vast gemaakt, zodat ik dit ook weer snel kan switchen, aangezien ik op alle andere plaatsen waar ik kom wel gewoon een bedrade netwerkverbinding heb en geen draadloze.